1.Numismatist OK, let’s start with that first term you’re curious about. Numismatics and numismatist. What are they? Well, you’re a numismatist. Somebody who studies coins and money. Numismatics is the study of coins and money. There’s sometimes a bit of debate as to who really is a numismatist. Some suggest you have to be more than a casual coin collector to really be a numismatist (somebody who devotes time to really learning more about coins and money, as opposed to just collecting them). Others say anybody who is interested in coins or money — collecting them, studying them, whatever — is a numismatist. 2.Coin Grading Here’s the next term you’re going to need to pick up on quickly. Coin grading is the act of evaluating a coin’s state of preservation based on how much (or how little) wear it has. There are several coin grading terms to know, and understanding each one will help be a more astute coin buyer and coin collector. Coins are normally traded, bought, and sold primarily on the basis of their grade. Therefore, you’re going to need to know what coins in different grades look like so you don’t get ripped off when buying or selling coins. Knowing a coin’s grade is also important in developing your appreciation of coins in general. While it can take many years to really be able to grade coins with a good degree of accuracy by eye alone, there are plenty of coin grading books and guides available to help you grade your coins and find out more about the coin grading process. 3.Brilliant Uncirculated (BU) BU, which stands for brilliant uncirculated, is probably one of the most frequently encountered coin grades. BU refers to a coin with no wear and good to superb surfaces. While BU is a desirable coin grade, it’s important to remember two things: Many coins advertised as ‘BU’ actually are cleaned coins with light amounts of wear. Many other ‘BU’ coins that have no wear may have been dipped or cleaned to remove toning. Yes, there are scores of genuine, unadulterated ‘BU’ coins on the market. You just have to know what to look for when avoiding coins that have been worn, dipped in a brightening solution, or otherwise altered. 4.Redbook You’ll be hearing a lot about the Redbook. What is it? It’s formal title is A Guide Book of United States Coins, written by Kenneth Bressett and R.S. Yeoman. It’s been an annual publication since 1947 and is probably the best overall coin book you can buy. In fact, if you ever buy only one coin book, this is the one to buy. It contains price lists, grading charts, coin information, and hundreds of color photos for practically every coin made in the United States going back to Colonial times. Admittedly, the price guides aren’t always accurate because, being published just once a year, they don’t necessarily reflect current trends. But look beyond that. This book has practically everything any beginning coin collector needs to know about United States coins. 5.Third-Party Graders (TPG) Third-party grading companies are firms that will, for a fee, evaluate your coins. There are hundreds out there, but only a handful that are longstanding, truly legitimate, respected, and consistent with how they grade their coins. Normally, you have to send your coins away to the company to have them graded. If the coin has no damage, it’ll be sent back to you in a slab (see below). Most times, damaged coins are sent back ungraded. However, there are some third-party grading companies (like PCGS) that’ll still slab a damaged coin, mark it as genuine, but not give it an actual grade. 6.Slabbed Coin A slabbed coin is one that has been authenticated and graded by a third-party grading company. The slab refers to the hard, sonically sealed, tamper-evident holder that the slabbed coin has been placed into. Slabbed coins are valued by coin collectors for a number of reasons: They are proof that the coin contained within is deemed authentic according to experts The coin contained inside has been graded and evaluated by professionals The plastic slab does a good job of protecting coins in a nearly airtight environment for a long time However, as mentioned earlier, not all slabbed coins are regarded with respect. There are several companies (like PCGS, ANACS, NGC, ICG, PCI, and SEGS) which are generally viewed with esteem by leading numismatists. However, there are literally dozens of other companies that slab coins but have yet to gain any respectable standing in the numismatic arena. 7.Cull Coin Coin collectors are a discriminating bunch. We don’t much like coins that have been cleaned, bent, holed, or are otherwise damaged. But one person’s trash is another’s treasure. That’s why many coin collectors who don’t have much to work with for a budget love cull coins. Cull coins are those that don’t meet up to the typical standards of coins collected by most numismatists. These coins may have any array of problems… Many are problem-free but just so worn down that most coin collectors wouldn’t want them for their coin collections. That’s where the coin collector on a shoestring budget can come in and swoop away some coins at a discount price that maybe would be unaffordable in higher grades. When you go to a coin dealer, ask about their cull coins — you might just find a deal or two that you can’t leave without taking advantage of! 8.Eye Appeal Eye appeal refers to the overall level of surface quality a coin has. Regardless of how high or low a coin’s grade is, some simply are stunning and others are only so-so. Eye appeal refers to how nice a coin looks. A coin with good or high eye appeal may be a piece that not only looks decent for its grade but may also be especially devoid of a number of problems typically associated with such pieces, like scratches, nicks, or poor color. Coins with particularly nice eye appeal may even merit a higher price than for other coins in exactly the same grade but with less attractive surfaces. As you become a more discerning coin collector, you’re going to start picking out which coins look nicest in a bunch. 9.Novelty Coin You’ve probably seen plenty of gold-plated Kennedy half dollars advertised on TV, might remember those President Barack Obama coins that were popular a few years ago, or perhaps have seen Lincoln pennies with little designs of President Kennedy. Those are examples of novelty coins. Many are real, legal tender coins that have been somehow altered. Novelty coins like this really don’t have any numismatic value, but there are some coin collectors place their efforts on collecting specifically novelty coins. 10.Proof Coin Proof coins are specially manufactured coins that have been struck on polished coin blanks and struck with specially prepared dies (the machine that stamps the design on coins). 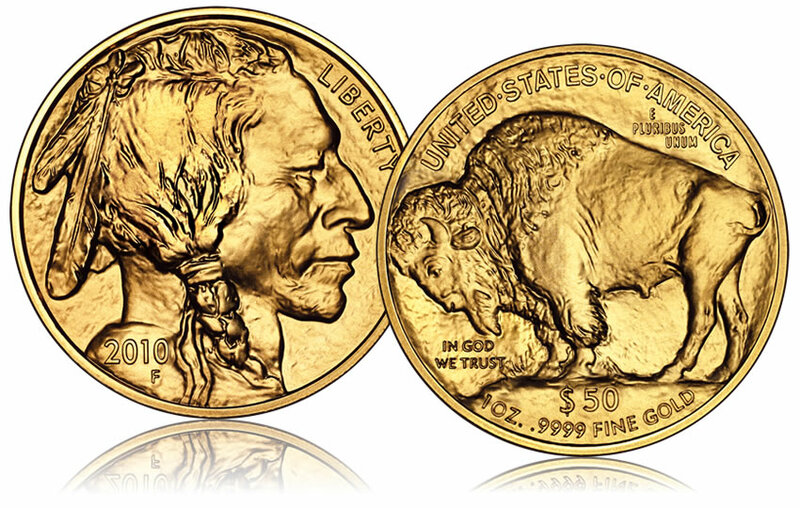 Modern proof coins have mirror-like surfaces and highly detailed, frosted designs and lettering. Older proof coins may have a number of other characteristics, including matte surfaces. Always remember that proof is not a grade — it simply refers to a method of coin manufacturing. 1. Magnetic Test - While many fakes can easily pass this test, silver as well as gold bullion for that matter are both non-magnetic. If a bullion coin or bar sticks to a magnet you can easily throw this one out. Fakes that are produced with any iron or steel content in them will give off some magnetic attraction and identify itself as a fake. Metals that have a core of zinc, copper, lead or other non-magnetic metal will not be detected by this test. 2. Ice Test﻿-﻿ Cheap﻿ and easy to do, getting some ice from the freezer is a simple way to test b﻿oth﻿ silver coins﻿ ﻿and bars for authenticity. All you need to do is place the ice on the silver and watch. The ice should begin to melt immediately, this is because silver is the best conductor of heat. 3. 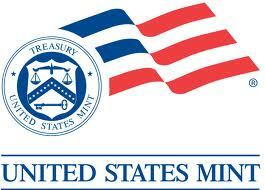 Dimensions Test- This type of test only applies to bullion coins from government mints. Since the most popular is the American Silver Eagle, we will take a look at that particular coin. 4. Visual Test -Silver has a distinctive look and feel to the coin not too shiny and not too cloudy. Grab an old magnifier, the one’s that jeweler’s use, and take a good look at the coin. It’s always best to have an authentic coin or bar next to the one you are examining. Mismatched surfaces, text spacing, crevices, or edges will stand out if it is a fake. Your tool of choice for this test is a handy magnifying glass or a jeweler’s loupe. A loupe if a special magnifying glass without the handle with higher magnification due to its special lens. These are essential to the world of coin collecting & numismatics, making it easier to grade the quality as well as identify counterfeit coins such as fake silver dollars. 6. Ping Test -The great thing about silver is that it has a certain high-pitched ring to it when struck with another metal, many people refer to this as the ping test and it works fairly well. To do this, simply place one silver coin on your fingertip and take another between your thumb and forefinger and gently tap your coin. It should produce a nice high-pitched bell ring. 1. Obtain dry weight of the silver coin or bar with an accurate scale to .01gUse a cup of water enough to fully submerge the silver into and measure its weight or reset the scale with it on. 2.Tie some string around the coin and setup an apparatus to hold the coin. 3. Submerge the silver into the water and record the submerged weight minus the weight of the water & cup. Take this quiz and test your knowledge on Coins and Currency! Crazy Coin & Currency Challenge! ﻿Click the link to learn the difference between gold cast bars, gold minted bars and gold bullion coins! Whats The Difference Between Gold Cast Bars, Gold Minted Bars and Gold Bullion Coins. Click on the grey dashed line above the image.